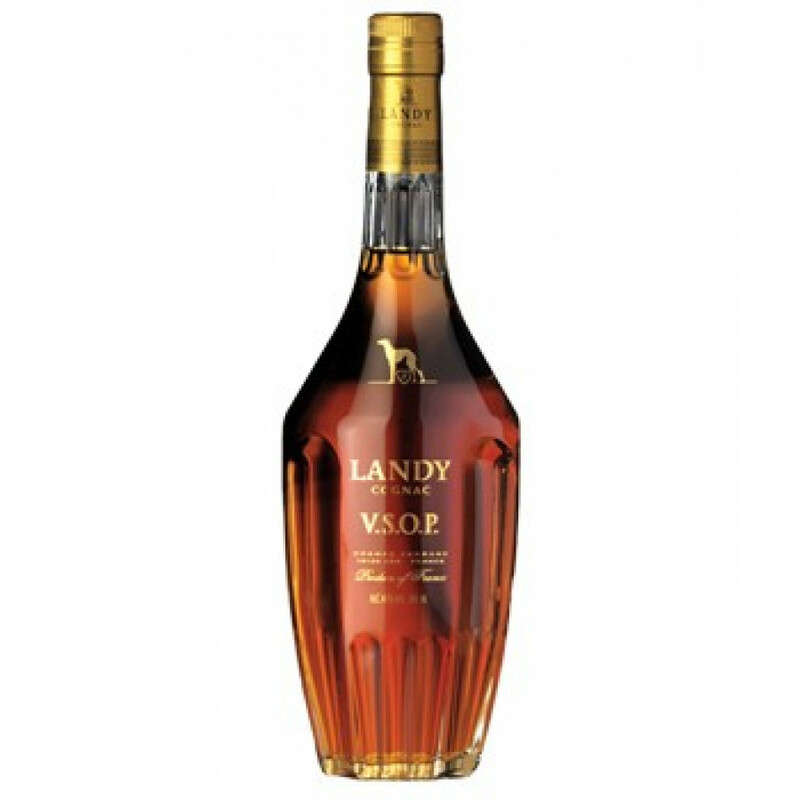 Landy VSOP cognac is a blend of Grande Champagne, Petite Champagne, and Fins Bois eaux-de-vie. The bottle shape is quite striking, making it a lovely feature to display on a drinks cabinet. This good quality VSOP has won gold medals in both the 2009 and 2010 San Francisco World Spirits Competition, and very deservedly so. This versatile cognac is lovely to enjoy as a digestif, or can be combined with your favorite mixer or even over ice for a different taste experience.